What made America? What makes us? These two questions are at the heart of the PBS series Faces of America with Henry Louis Gates, Jr.
History Detectives is devoted to exploring the complexities of historical mysteries, searching out the facts, myths and conundrums that connect local folklore, family legends and interesting objects. Traditional investigative techniques, modern technologies, and plenty of legwork are the tools the History Detectives team of experts uses to give new - and sometimes shocking - insights into our national history. 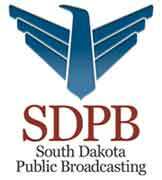 http://sdpb.pbslearningmedia.org/ - search "family tree" and "immigration"